Evolution, Sources, and Functions of Antioxidant Systems. Oxidative Stress and Inflammation: Their Reduction by Micronutrients. Etiology of Alzheimer's Disease: Prevention and Improved Management by Micronutrients. Etiology of Parkinson's Disease: Prevention and Improved Management by Micronutrients. 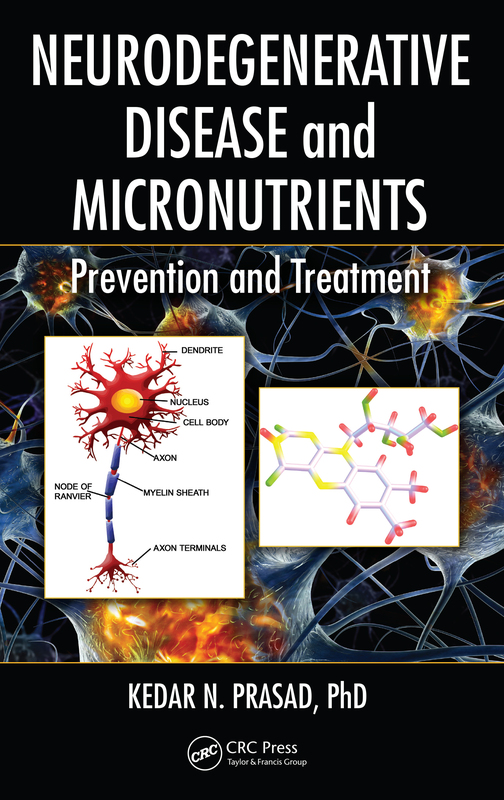 Huntington's Disease: Prevention and Improved Management by Micronutrients. Etiology of Post-traumatic Stress Disorders: Prevention and Improved Management by Micronutrients. Traumatic Brain Injury: Improved Management by Micronutrients. Concussive Brain Injuries: Prevention and Improved Management by Micronutrients. Cerebrovascular Insufficiency: Improved Management by Micronutrients. Recommended Dietary Allowances/Dietary Reference Intakes/Tolerable Upper Intake Level of Selected Micronutrients. Kedar N. Prasad is thechief scientific officer of Premier Micronutrient Corporation. He earned a MS in zoology from the University of Bihar in India and a PhD in radiation biology from the University of Iowa. His postdoctoral training was at Brookhaven National Laboratory. He was professor at the University of Colorado Medical School and served as a president of the International Society for Nutrition and Cancer. Dr. Prasad was invited by the Nobel Committee to nominate a candidate for the Nobel Prize in Medicine in the early 1980's. His interests include radiation protection, and the role of nutrition in cancer and neurological diseases. He has published more than 200 papers in peer-reviewed journals and authored or edited 25 books.